This hamper is an elegant way to say you care. Gifting this hamper, you can add a little bit of happiness and sweetness in the lives of your loved ones. 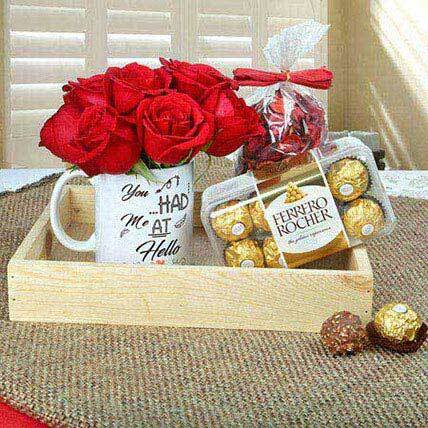 It contains a red rose arrangement, Potpourri and ferrero rocher chocolates.